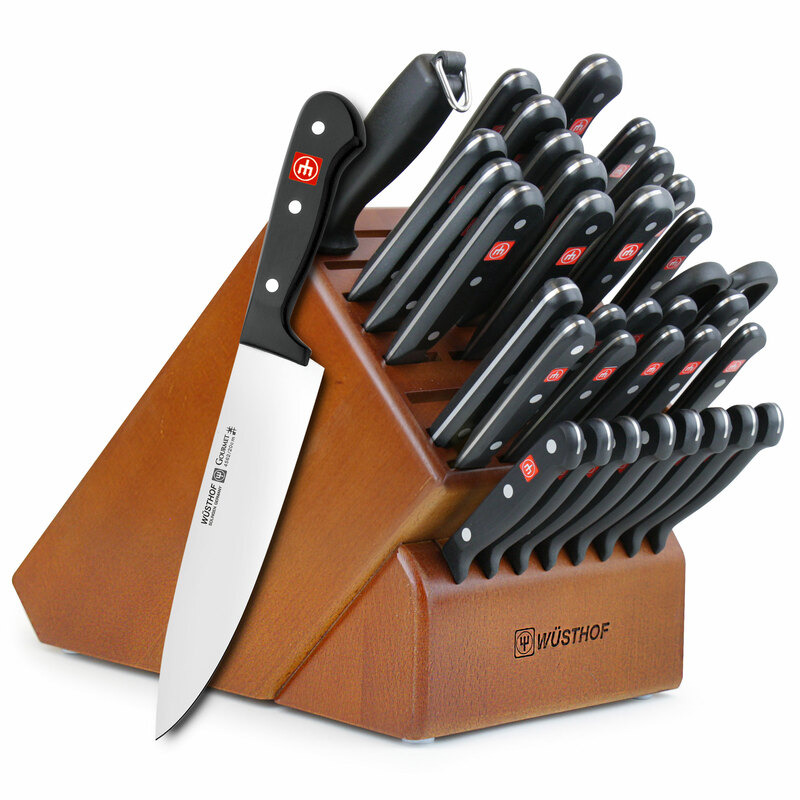 The Wusthof Gourmet knife series is one of the best values in cutlery. 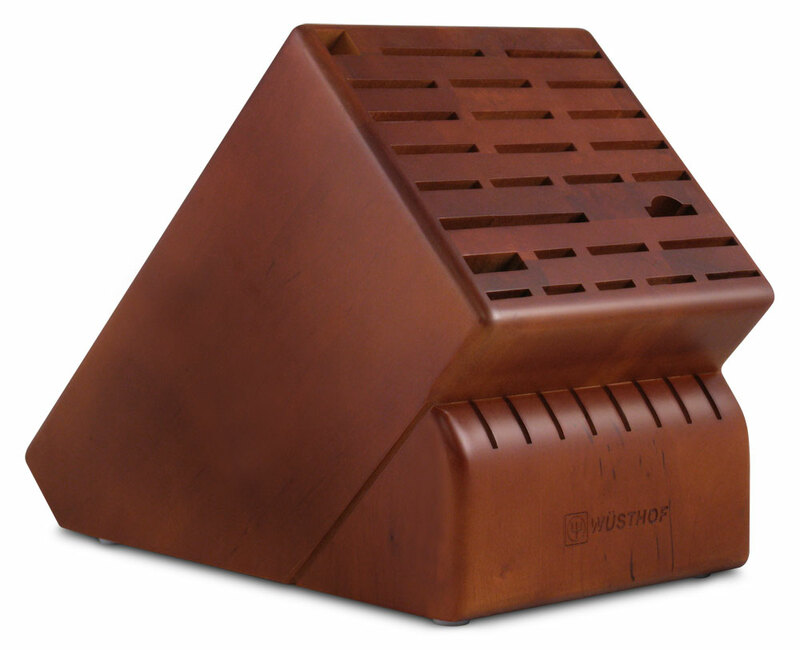 Each blade is precisely cut out of a sheet of steel with advanced laser technology. 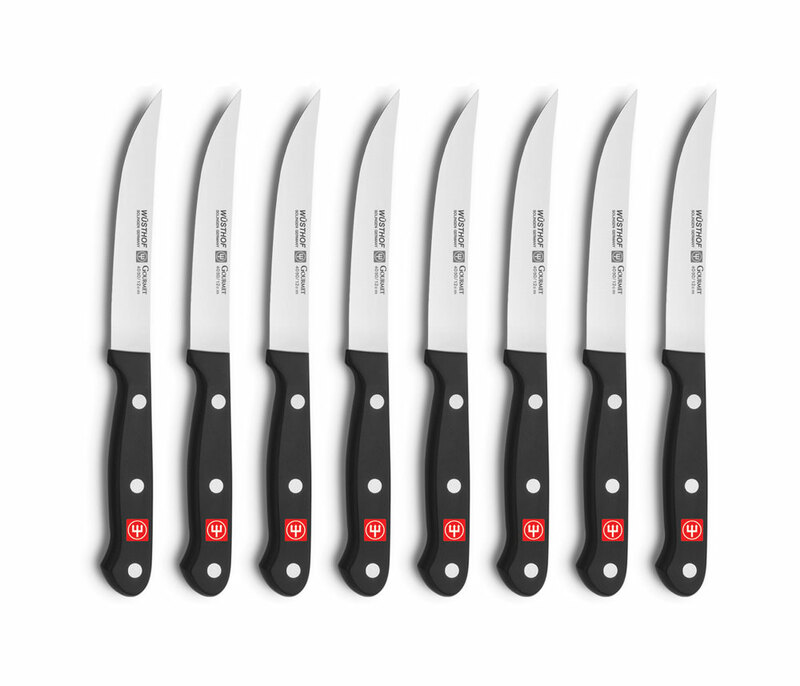 The steel in these blades is the same as their forged lines, so you can be sure that Wusthof Gourmet knives feature excellent edge retention and easy re-sharpening. Unique single-piece poly handle is triple-riveted to the tang for superior durability. 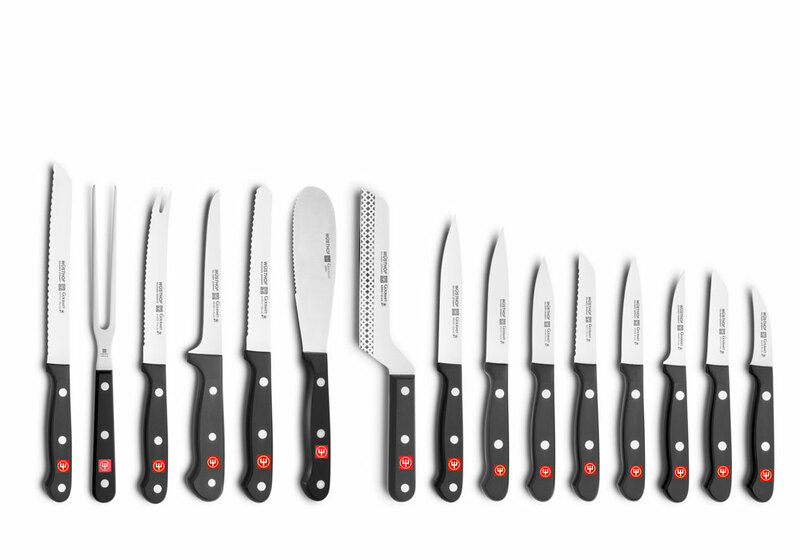 The perfect collection, from slicing apples with a paring knife, to chopping vegetables with a chef's knife. 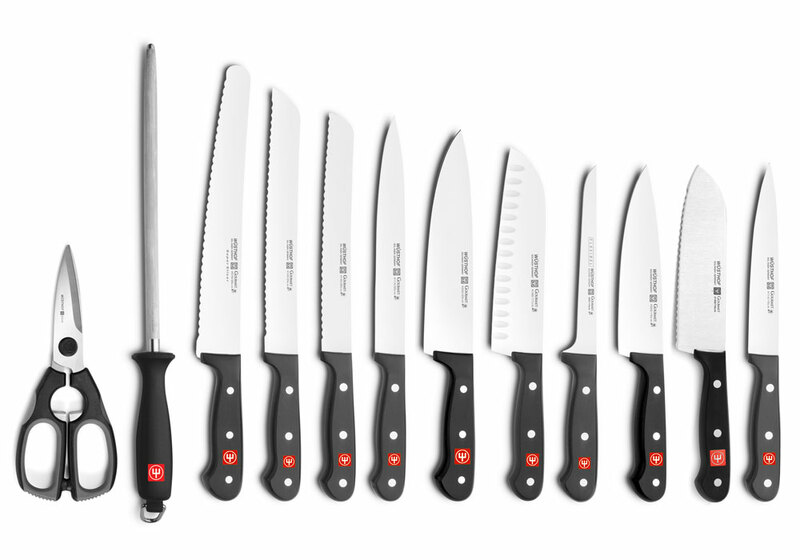 Some recipes require four or five different style knives to cut, dice, and slice. 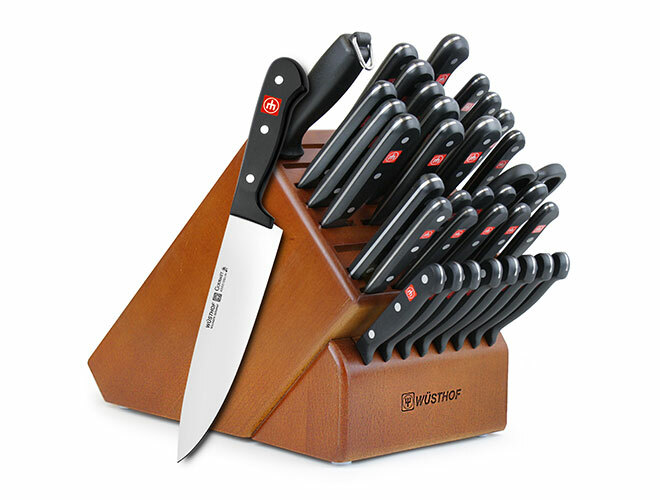 With these wide varieties of blades, this set makes a wonderful gift. Made in Solingen, Germany, lifetime warranty.